Doris arrived with diabetes, obesity, hypertension, congestive heart failure, lymphoma in her legs, a cane, and a dislike for vegan food. Can I do this? Doris asked herself when she first came to Hartland’s Lifestyle Education Center (LEC) for an 18-day program. 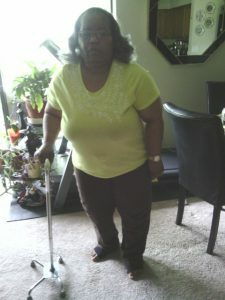 She was up against diabetes, obesity, hypertension, congestive heart failure, lymphoma in her legs, and having to walk with a cane. Her protocol would involve stretching, walking, massage, hydrotherapy, and a vegan diet for the next 18 days—and she didn’t even like vegan food! Doris had already surmounted many obstacles prior to her arrival. The story began when Hartland’s Three Angels’ Chorale sang at her church in Pennsylvania. Through contact with some students, she learned more about the LEC. She really wanted to attend the program, but could she afford it? “Oh, no,” she had laughed when Angela Pulley, the director, told her the price. “Well, wait a minute,” Angela had responded. “We’re going to pray about it.” That prayer began opening the way for Doris. 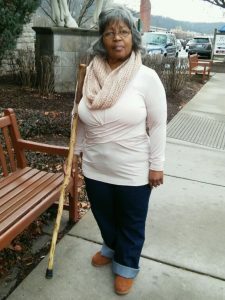 She set to work with fundraising ideas; through the help of friends and church family in hosting a spaghetti dinner, God provided the needed amount.